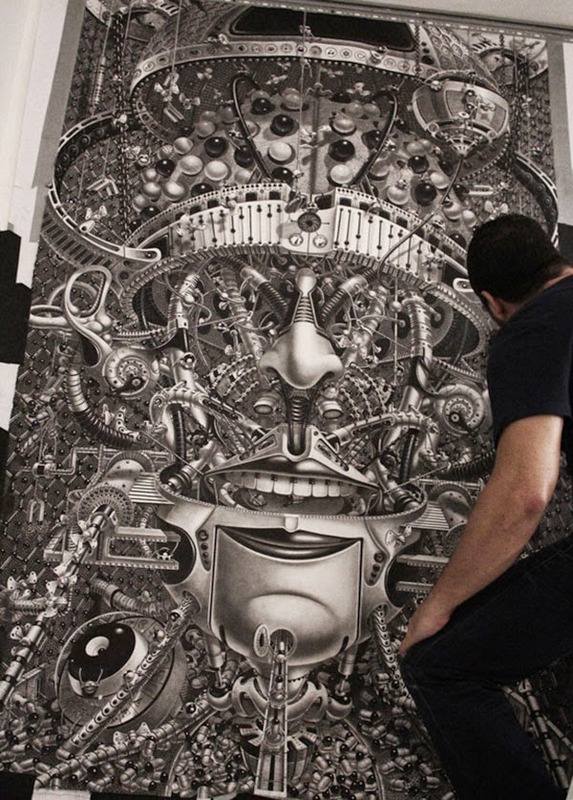 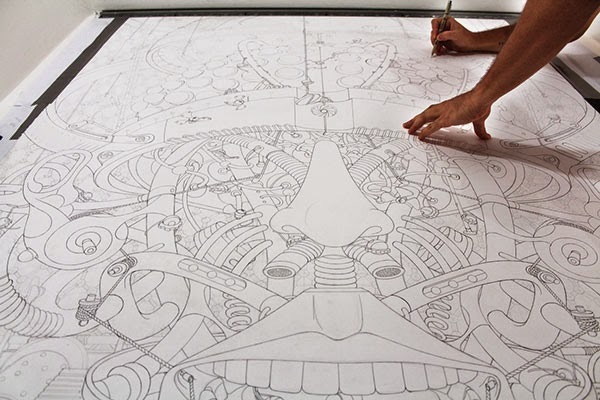 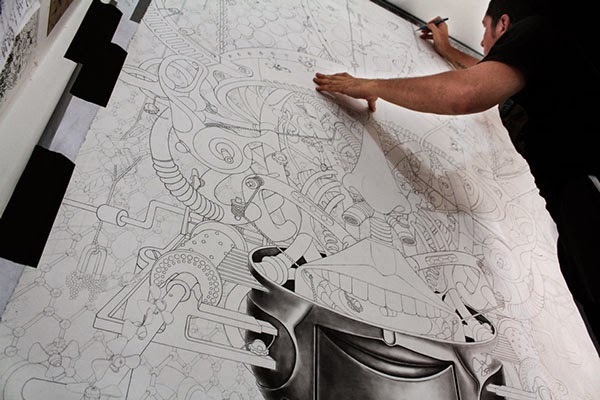 Recent large-scale drawing of a hybrid human with mechanical enhancements by New York City-based artist and designer Samuel Gomez. 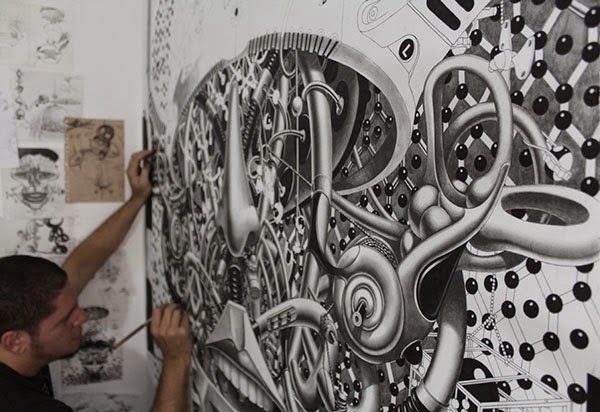 Samuel creates these graphite and ink drawings in a surreal, steampunk style that weaves a narrative of a world filled with machine-like entanglements where all events and outcomes are intricately linked. 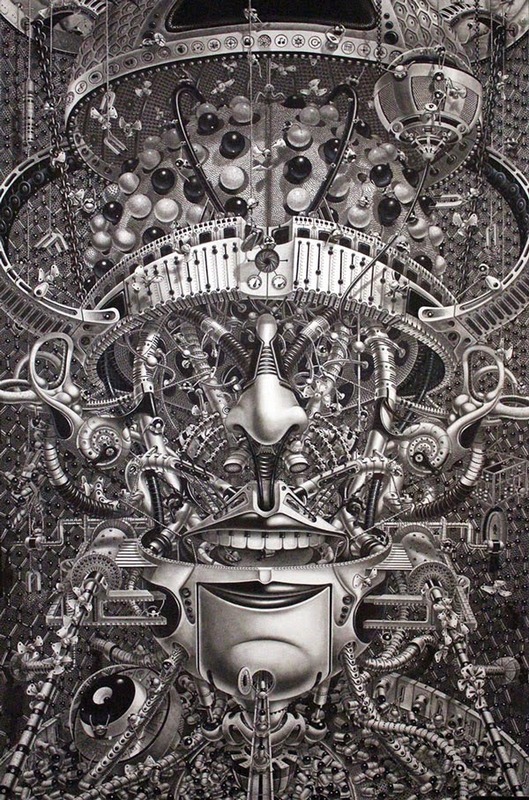 Gomez’s style embodies a ‘hybrid surreal-steampunk’ aesthetic marked by an extensive usage of universal semiotics and contemporary allegories to science, socioeconomic, sustainability issues, but more importantly ‘The Future of Automation’ and where it might be taking us.